Avail from us high quality ICU Beds at the most reasonable rates. The ICU Beds we provide are made from high grade stainless steel providing it a long life. 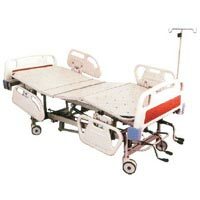 Our qualitative range of Hospital Beds comprises of Electrical and Mechanical ICU Beds that are highly used and demanded in the hospitals and any other medical establishment. Appreciated for greater comfort and advanced features, our ICU Beds are high on demand in the international market. 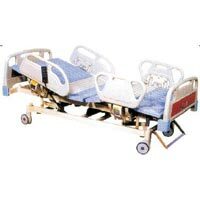 Consequently, we have carved a niche as one of the eminent ICU Beds Manufacturer, E x porter and Supplier based in India.